Apple launched its two much awaited products from its nutshell on an event held on 9th of September. The two products were iPhone 6s and iPhone 6s Plus. Giving internal tweaks to iPhone 6 and 6 Plus, these two new Apple products were presented in front of the customers. 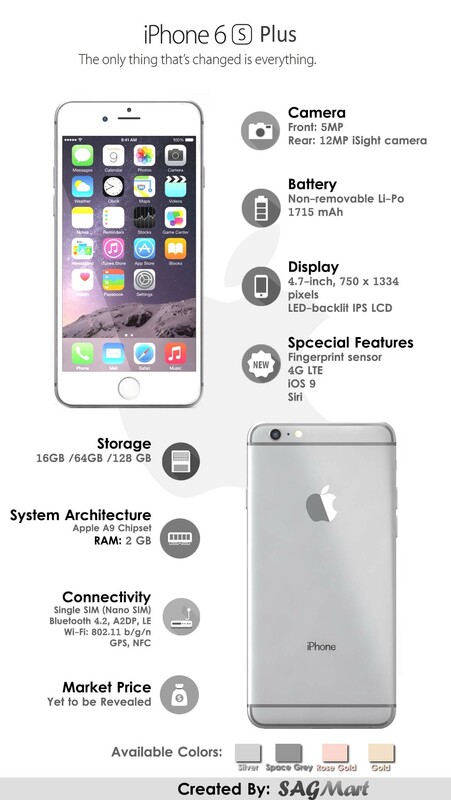 Checkout the specifications, special features, price of iPhone 6s Plus in form of infographic.